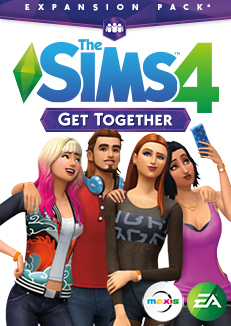 The Sims™ 4 Get Together is the second expansion pack of The Sims™ 4 which will be released on 8th December,2015 instead of the previously announced release date of November. Below is a complete list of confirmed features the expansion pack has to offer. A European-inspired World with a mix of vibrant modern architecture, classic buildings and styles. From the charming countryside, to the bustling town square,ultra modern business district and luxurious island, Windenburg is filled with new things for your Sims to see and do. 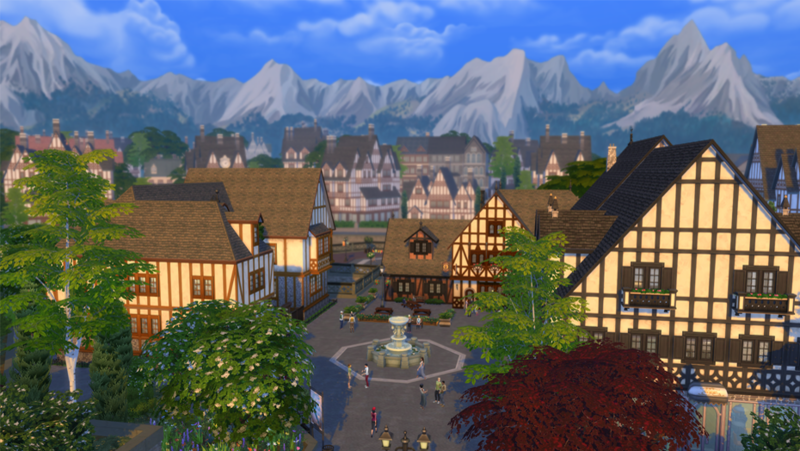 Windenburg is as big as base game worlds for example "Willow Creek" and Sims will be able to live in this world.Premade houses are available in this world. Hidden garden chateau with hedge maze to get lost in. Mysterious ancient ruins which are Neighborhood mixed of lots and public spaces. You can also invite Sims to party to the ruins via phone. Developers are still building this world. 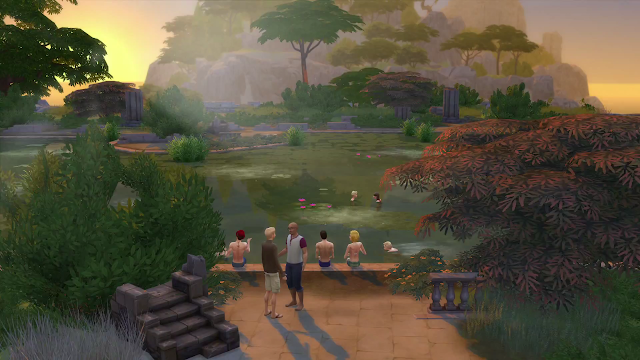 For the first time in Sims 4, players will be able to create and play with groups of Sims. Huge club system if you mix different groups. 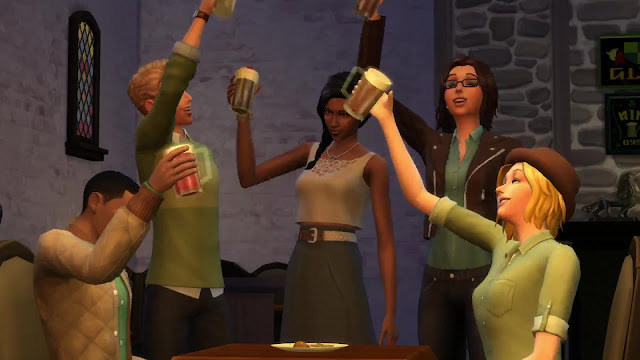 Your Sims will be able to join different Clubs, each with their own interests, personalities, and styles. They have defined behaviors that dictate how they tend to act, including how they treat other Sims, and what they do or don't like to do. Children and Teens can have their own clubs. 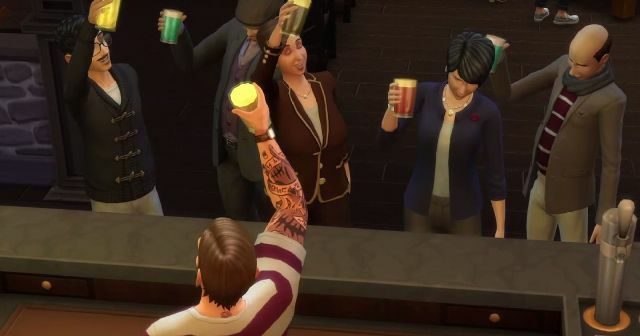 There will be a variety of Clubs waiting for your Sims when you first load up the expansion pack, but you’re also able to create and customize your own. You can set their requirements, decide what behaviours they have, choose their preferred hang outs, and even give them distinct rewards. You can control who is in, or out, of a club and what a club likes to do. You are able to customize the location of the club, the clothes, what they like or dislike. Club members will have new plumbob that are white with the club's symbol. Player can choose club symbol. Clubs will behave according to their rules, theme, and behavior even while inactive. Players can have a total of 10 rules. 5 Encouraged and 5 Discouraged. 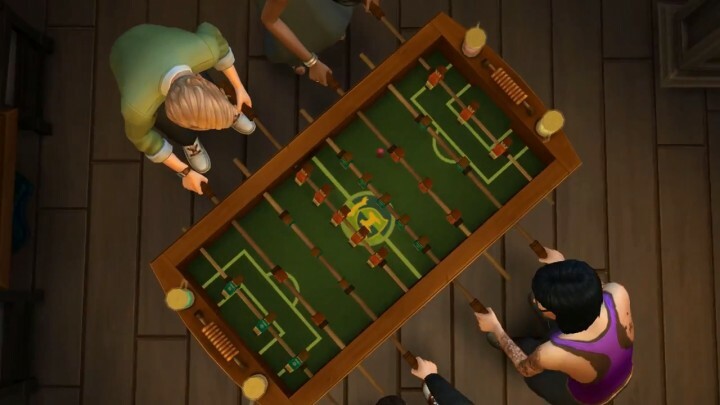 Once Sims are together with their Club (Club Gathering), they can act against the things they’d typically do if the rules of the Club dictate it. Characteristically peaceful Sims might start a brawl if they’re in a Fight Club, and shy Sims could end up being amorous if their Flirty Club encourages it. Club leader gets a crown around the plumbob.The leader can set rules for the club. Clubs will conflict with each other. 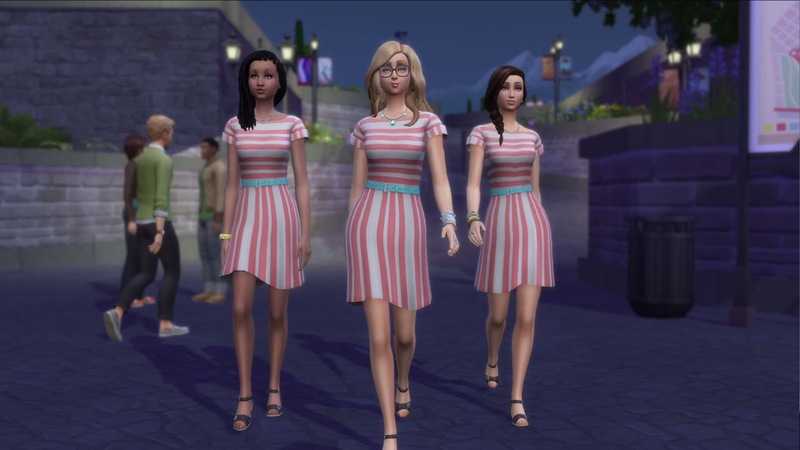 Sims in a club walk together, do the same things as active sim / leader of club. Up to 8 sims in a club. While a club is gathering, the player is indirectly controlling all members with their active Sim.If the active Sim is indicated to go to a specific lot, the whole Club will go with them. The actions that the player indicates their Club should do will influence their autonomous actions. You can hover over Sims to learn their name and which Clubs they’re members of, and quickly scan an area to see which Clubs are having a gathering, and who is the leader of the different Clubs. 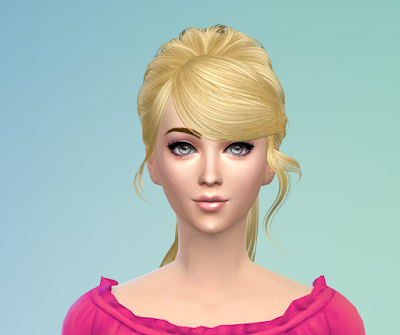 A Sim can join 3 clubs but only active in one at a time. Your Sims can have rivalry including fights and dance offs. You can create an infinite number of clubs. Clubs UI is similar to Retail UI and is available in Live Mode.The clubs UI is located in a similar spot so you'll have this UI that will pop up for every sim and you can take control of what their clubs can do within that UI. 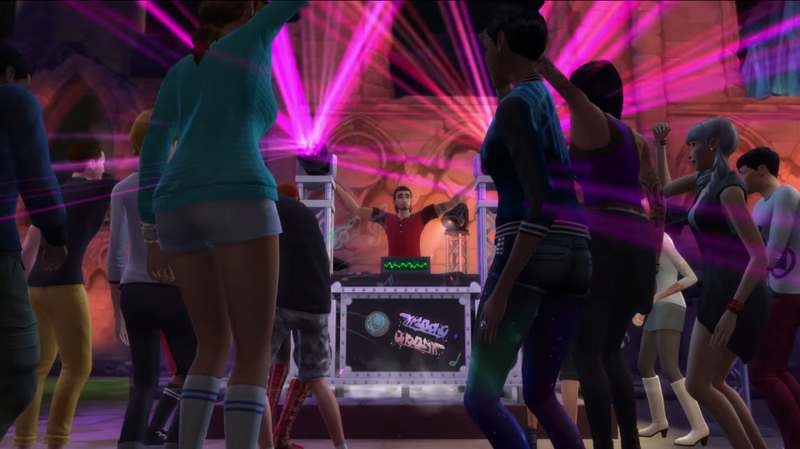 Create your club's signature hangout spots for example Upper Crusts should have a private room at the local Café, and the Spin Masters should be able to have an exclusive Discotheque where they practice their dance moves. 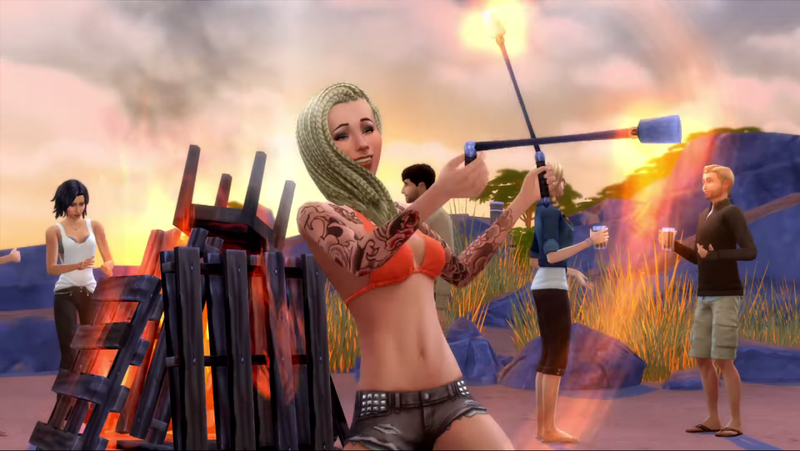 Playing with different clubs unlocks unique rewards for Sims to enjoy. Player cannot restrict genders as a rule but can choose not to invite. Player controls all club members indirectly with active Sim. Player can indicate what venue Clubs will gather at. Player influences the autonomous actions of Club members with their active Sim. Some examples of Sims 4 Get Together Clubs-Fitness club, popular kids, chess club.Mixed interests club like Check and Mate Club where sims are encouraged to play chess and WooHoo. Want to make a Club that likes to Fight and be Mean, but only to members of a specific other Club? You can do that! Build your own cafe and run it if you have The Sims™ 4 Get to Work installed. Barista can be hired to your home. The better your DJ Skill, the more exciting the party is. Pump up the crowd by creating the perfect mix in the DJ booth. Set up the DJ Booth to get the party started. 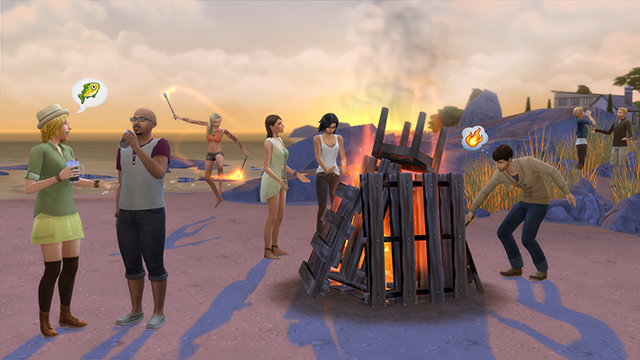 Have campfire interactions and your sims can spin fire. New Feature that you can create and decorate your own natural pool like ponds. New borders and stuffs for natural pool. New Object:"Diving Rock" for your sims to jump off. Sims can woohoo in the closet. You can select outfits for all of your Sims and get ready for a big night out. Kids can play in the closet. New drinks with mood effects are available to create. Can be used for a shop if you have The Sims™ 4 Get to Work installed. Barista can be hired similar to barkeepers. Sims can master Dance skill. 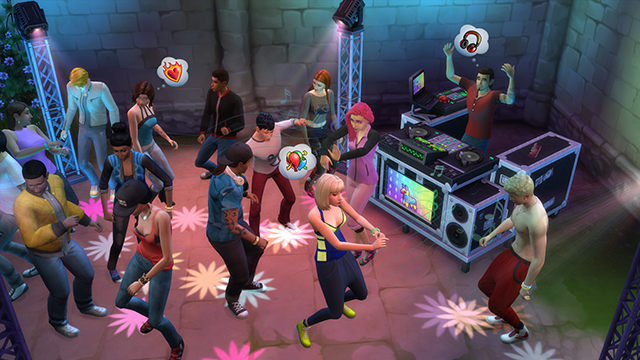 Sims can dance in group and you can create your own group routine. Many new items that can be dragged and dopped to use on venues and public space. New Board Game:"Don't Wake the Llama!" 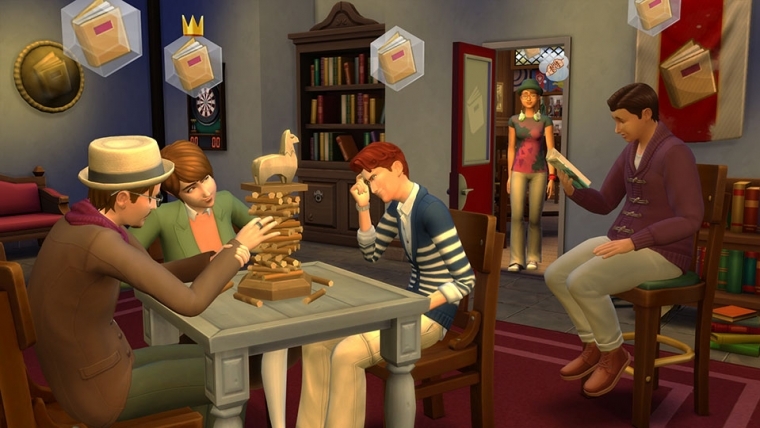 As EA pushed the release date of The Sims™ 4 Get Together from November to 8th December to get time for working more on the game and they're promising to make this expansion pack gameplay experience even bigger,better and cooler with this time,we can expect more features to come.